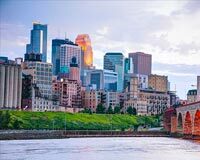 With the Mayo Clinic, the University of Minnesota Medical Center, and other cutting-edge facilities in its orbit, Minneapolis is known as one of the most advanced and educated cities in the United States. Combined with a slew of local manufacturers, financial firms, and retailers, this bolsters the local economy and provides wealth and jobs to all who need them. ExpeditedFreight.com prides itself on playing a critical role in this economic mix. As one of the area’s most trusted expedited freight providers, we offer the logistics that all businesses in the Twin Cities need to keep their supply lines smooth and effective. 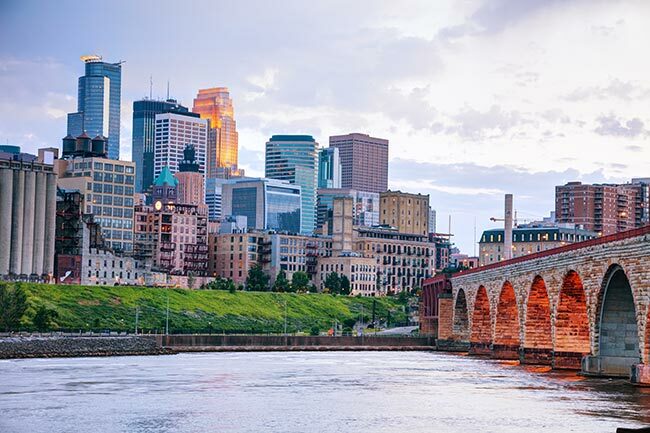 Along with St. Paul, Minneapolis anchors a metropolitan area known as the Twin Cities, which with 3.5 million people is one of the largest metropolises in the American Midwest. This area remains wealthy and vibrant thanks to its eclectic mix of industries, which contribute to each other’s success. The Twin Cities Auto Show, for example, not only brings in tourists, but also helps put the Minneapolis area on the map as a major center of advanced technology and manufacturing. By building each other up, the city’s many businesses create an attractive environment for investment, work, and life. To continue building each other up, Minneapolis’s automotive, tourism, and other industries require steady supplies of countless parts and resources, as well as the ability to ship out their finished products. ExpeditedFreight.com offers both of these services throughout the region. Not only do we serve Minneapolis proper, but we delver into and out of St. Paul, St. Cloud, Rochester, Edina, Minnetonka, Dubuque, Janesville, Lacrosse, Fond du Lac, and Bloomington. This keeps the entire area connected while linking it to other metropolises across the US and Canada. Thanks to our dedicated shipping strategy, we are able to load any storage equipment that you need on each delivery; because the vehicle will be carrying your goods alone, there’s plenty of room for storage devices. To further increase safety, we plan each route beforehand to minimize exposure to bumpy roads and harsh weather, and we track your vehicle during the delivery to steer it clear of any new dangers that arise. We also put two drivers in the vehicle so that each will have a chance to rest and stay alert. Along with safety, our expedited shipping strategy emphasizes speed. We can keep delivery times to a minimum thanks to our vast coverage network, which allows us to station vehicles in virtually every US and Canadian state and province. This means that no matter where your starting point is, we will be able to dispatch a vehicle to it in just two hours; the vehicle can then head straight for your destination. Our route planning and tracking strategy further contributes to this speed, as it lets us send the truck along the quickest possible path from start to finish. For more information or a free quote on expedited freight services in Minneapolis as well as across the USA and Canada, contact ExpeditedFreight.com at (763) 273-5444.